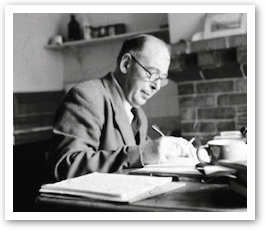 November 22, 2013, will mark the fiftieth anniversary of C. S. Lewis’s death. On that day, he will be given a place in Westminster Abbey’s renowned Poet’s Corner. In commemoration of this event, all this week Christ and Pop Culture contributors will be writing about the works by C. S. Lewis that have been most personally significant to them. A Grief Observed by Martyn Jones: “Sometimes all we know of God is his absence, and other times he appears as a scourge. Perelandra by E. Stephen Burnett: The second “Ransom Trilogy” story captivated me with themes of a virginal paradise invaded by serious, haunting evil.